... just in time for Mother's Day! 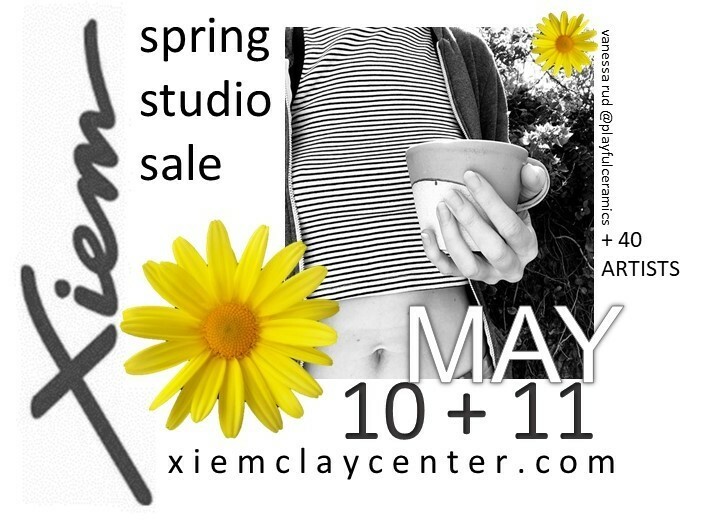 Our 15th Annual Spring Studio Sale will showcase the skill and passion of 40 studio artists associated with Xiem Clay Center. Preview new collections by your favorite artists, discover new talent and enjoy hundreds of unique hand-made ceramics with a wide range of prices. Friday, May 10th: ALL WELCOME! Saturday, May 11th: MEET THE ARTISTS! Discover amazing handmade ceramics and grab some delicious lunch from DINAS DUMPLING - the best pink food truck in LA.